Raising Your Kids to be Happy and Healthy, While Enjoying Them to the Fullest! Raising Kids to be Successful and Happy! How do we raise our kids to be successful and happy, while keeping them away from peer pressure and the nefarious characters who populate our society - the same nefarious characters who would love to “mentor” your children toward alternative lifestyles that are far different than your own morals and beliefs? 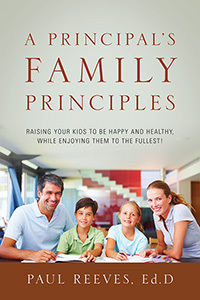 Dr. Paul Reeves explains how to do it in his new book, “A Principal’s Family Principles”, in which he explains that the most important person in your child’s life needs to be . . . YOU! In Dr. Reeves’ book, you will laugh, cry, and feel joyous at the outpouring of stories that he shares with us, all of which are true stories based upon the lives of his children and the lives of some of his thousands of students over the years, . . . and all of which can help us to be better parents. By being the most important person in your child’s life every second, minute, hour, day, week, month, and year, you can help to ensure that your kids will be raised to be successful and happy! Dr. Paul Reeves has spent over 30 years as a professional educator, a career that has seen him establish the largest and most decorated Band program in the Midwest (353 students per day! ), as well as being a teacher of Mathematics, English, and Spanish. While serving as a K-12 teacher, it was normal to see his classroom filled with over 100 students each day before school, during lunch, and after school! During the administrative portion of his career, he was responsible for raising some standardized test scores by as much as 400%, while doubling and tripling most other test state scores; changing his school’s inherited grade of “F” to “A” in assessments; raising his school’s Report Card by two whole letter grades in two years; increasing enrollment by as much as 50%; serving as a statewide conference speaker on “Instructional Practices”; and leading an entire district to financial solvency, while improving curriculum, standardized test scores, technology, and instructional practices and always pursuing the students’ best interests. However, as much as he enjoyed his career with students, his greatest joy came with his three blessings, a daughter and two sons. As you will read in his book, Mr. Reeves spent as much time as possible with his kids; took them to their activities; encouraged them to be successful, while showing them the way; attended their events; and tried to always be the rock of the family on whom his kids could rely while establishing their own paths through life. 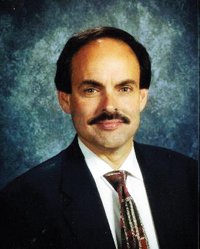 In addition to currently operating his school, Dr. Reeves serves as a consultant to other schools, districts, teachers, administrators, and School Boards, mostly in the areas of instructional practices, curriculum, personnel, business practices, and staff development. And, of course, he works with multiple parent groups, so that they can also learn to raise their kids to be happy and healthy, while enjoying them to the fullest!